Henry Martell was both a fine amateur player and professional golfer. He won the 1946 Canadian Men’s Amateur Championship as well as the 1953 and 1958 PGA Championship of Canada. In 1966 and again in 1971, he captured the PGA Seniors’ Championship of Canada. 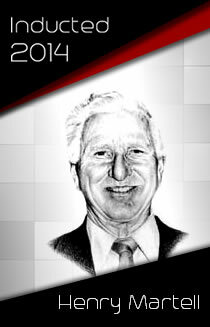 Martell was inducted into the Canadian Golf Hall of Fame in 1982.